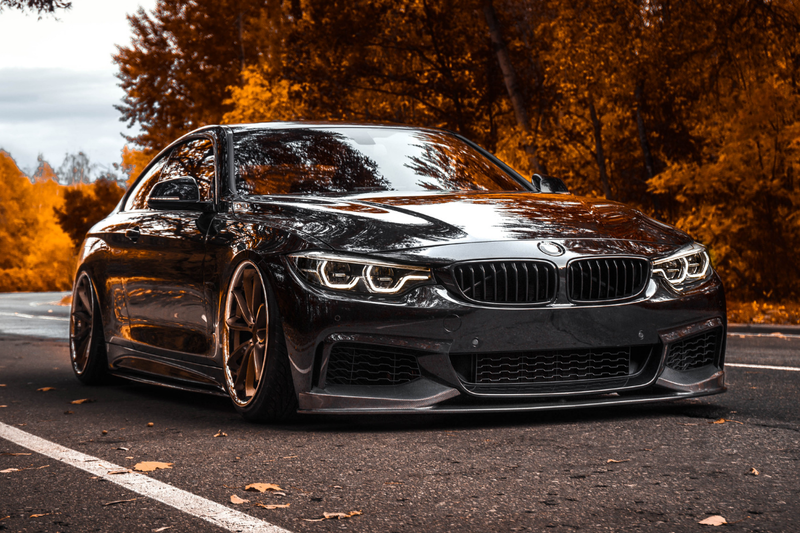 His F32 BMW 430i LCI is slammed on AirLift Performance's full 3H kit which gives him the ability to lower and raise his car at will, although we prefer it as low as possible at all times. To add to the low sleek profile, Dmitry opted to add full custom carbon pieces throughout. He's got a custom carbon front splitter, rear diffuser, spoiler, and side sills. Along with all the carbon goodies, he's got the M performance package aero kit to add just the perfect amount aggression around the car. Whats an aggressive diffuser without an aggressive exhaust? Nothing. Dimi's Bimmer is equip with quad M exhausts to deliver more power, more style and a hell of a lot more sound! Now don't get us wrong, his car is absolutely stunning, but the wheels are what take it to the next level! Dmitry is on a set of Blaque Diamond’s classy wishbone inspired wheel titled the BD-23. The design of this wheel is completely mesmerizing. The extreme concave profile visually projects the design toward the onlooker. This is especially true when equipped with the chrome SS lip as he does. The contrast between the matte bronze and the chrome lip really make the design of this wheel pop. He is running a 20"x9" in the front and a 20"x10" in the rear. 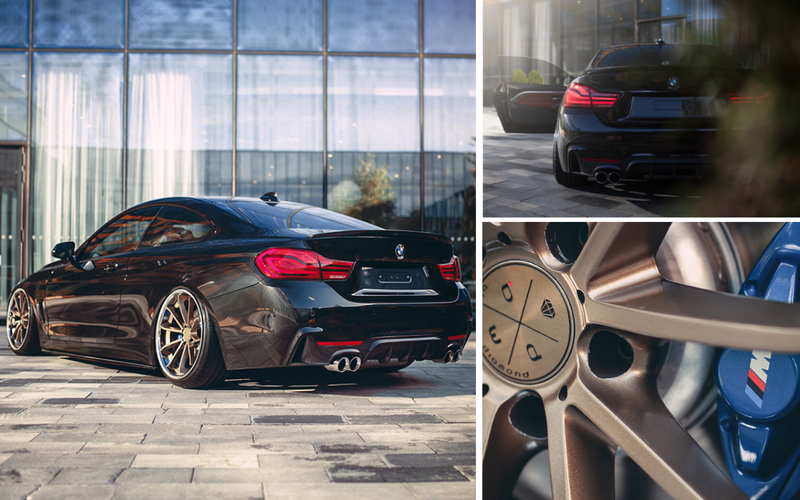 Between the color choice of the wheels and his carbon exterior upgrades, we think Dmitry really hit the mark with this build. Nothing about this car was done wrong; tasteful through and through. The BD23 is available in sizes of: 20x9 / 20x10 / 20x11 / 22x9 and 22x10.5 with finishes in Silver w/ Chrome SS Lip, Gloss Black w/ Chrome SS Lip, and Matte Bronze w/ Chrome SS Lip. If that isn’t enough though, there are hundreds of different custom colors and finishes to choose from to truly personalize your ride. The depth of concavity makes the BD23 appealing to a different range audiences. 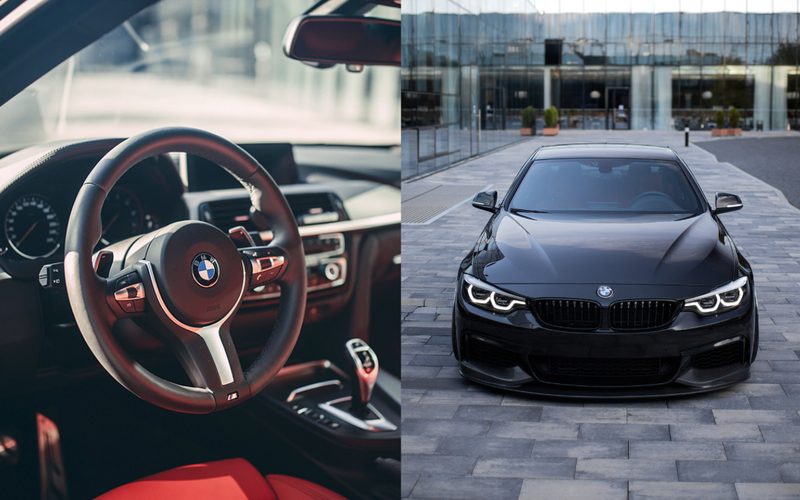 They can be fitted with most vehicle makes including; BMW, Mercedes, Audi, Range Rover, Lexus, Infiniti, Chevy, Ford, and Honda, just to name a few.